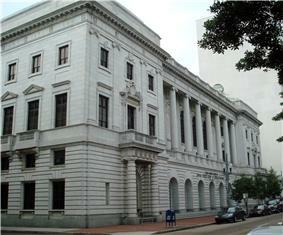 The court is composed of seventeen active judges and is based at the John Minor Wisdom United States Court of Appeals Building in New Orleans, Louisiana, with the clerk's office located at the F. Edward Hebert Federal Building in New Orleans. 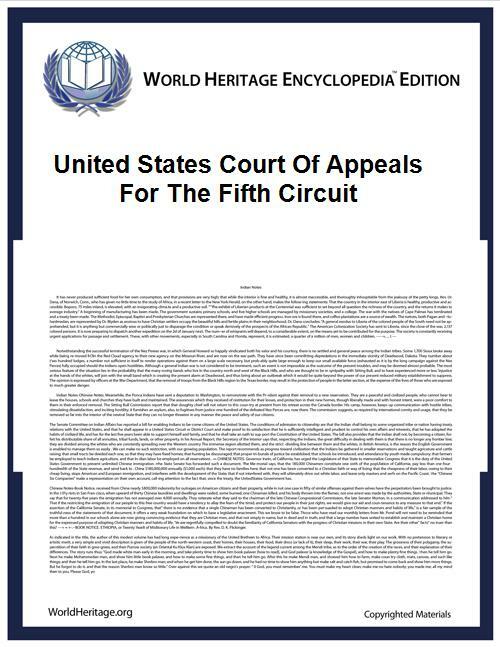 It is one of thirteen United States courts of appeals. This court was created by the Alabama, Mississippi, Louisiana, and Texas. On October 1, 1981, under Public Law 96-452, the Fifth Circuit was split: Alabama, Georgia, and Florida were moved to the new Eleventh Circuit. On March 31, 1982, the Fifth Circuit lost jurisdiction over the Panama Canal Zone as the Canal Zone transferred to Panamanian control. During the late 1950s, Chief Judge Elbert Tuttle and his three colleagues John Minor Wisdom, John Brown, and Richard Rives became known as the "Fifth Circuit Four", or simply "The Four", for decisions crucial in advancing the civil rights of African-Americans. In this they were usually opposed by their fellow Fifth Circuit Judge Benjamin F. Cameron of Mississippi, until Cameron's death in 1964. Hurricane Katrina struck New Orleans on August 29, 2005, devastating the city and slightly damaging the John Minor Wisdom Courthouse. All deadlines concerning filings were extended. The court temporarily relocated its administrative operations to Houston, but the court has now returned to normal operations in New Orleans. 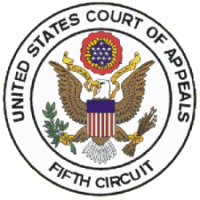 ^ a b "U. S. Court of Appeals for the Fifth Circuit". Official website of the Federal Judicial Center. Archived from the original on March 26, 2005. Retrieved June 19, 2005. Bass, Jack (1990). Unlikely Heroes. University of Alabama Press.